On June 5, in which the world commemorates World Environment Day, merchants and residents of the neighborhoods Consolação and Cerqueira Cesar are planning an event in public tribute to the date. The event has been organized by the Comitê Aliados do Parque Augusta and SAMORCC (the Society of Friends and Residents of Consolaçao and Cerqueira Cesar neighborhoods), with the support of the Movimento dos Idosos do Bairro Cerqueira Cesar and SPADA (Society for the Protection of Abandoned Domestic Animals). The event, called Pic Nic À Moda Antiga (“An Old Fashioned Picnic”), is open to the general public. 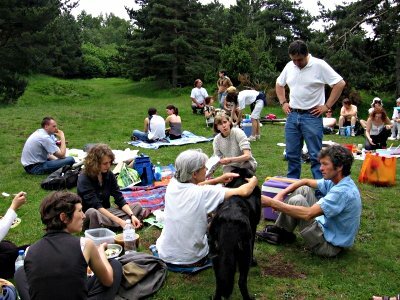 The public is welcome to dress and behave in as if they were on a picnic in the past, where everyone respected each other and respected nature.